"Longborough Festival Opera is now an established opera company, situated in the heart of the Cotswolds. Its intimate auditorium seats 500 people, enabling the audience to experience the drama and emotion on the stage on an almost personal level.. This has firmly secured Longborough's summer season into the diaries of a loyal and ever increasing audience." A stunning, eclectic collection "from tiny toys to Samurai armour, musical instruments to fine clocks" by an architect/artist/poet who travelled the world in the first half of 20th century. Built in 1810 in the Mogul Style of Rajastan, it was an inspiration for the Brighton Pavilion. There is a Persian Garden of Paradise and a temple to the Hindu sun god. 'Home of the Oaks', exotic Sezincote." Royal connections spanning 1,000 years. It was sacked by Cromwell's army after the Civil War and restored from 1837 onwards by the family of the present owners. The 15th century West wing survives. Batsford holds the national collection of Japanese flowering cherries as well as many grand trees collected from around the world in the 19th century. Also the home of a fine collection of falcons, vultures, owls, eagles and other birds of prey, to be seen in action.
" a place of great beauty to enjoy as an educational resource." Visit the plant house, the stream garden, the kitchen garden, the orchard, even friendly pigs. "From humble beginnings in 1907 to a garden that has inspired more people than any other, see how Hidcote took root and blossomed." 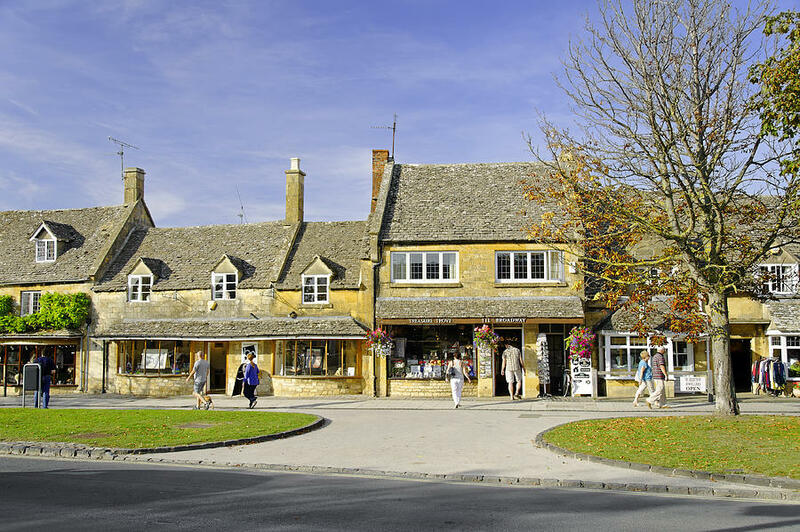 Take a leisurely stroll along the main street from individual shops to ancient inns. Or a more energetic walk across the river and over the hills. 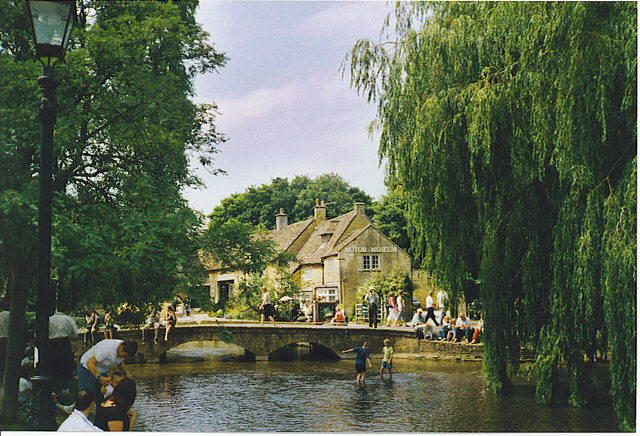 The River Windrush runs in the middle of the main street of this popular Cotswold town. 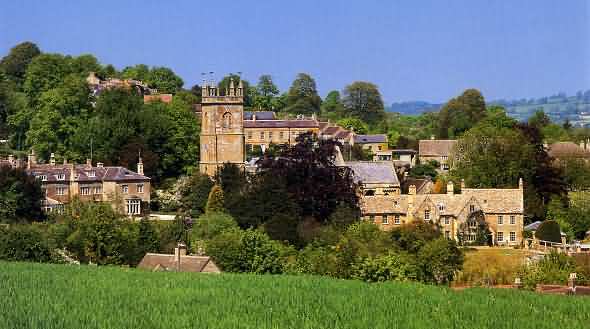 One of the prettiest Cotswold stone villages in the area. Blockley Brook provided the water power for several woollen and silk mills, which still stand today.